LUXURIOUS GUESTHOUSE...or OFFICE SPACE!! 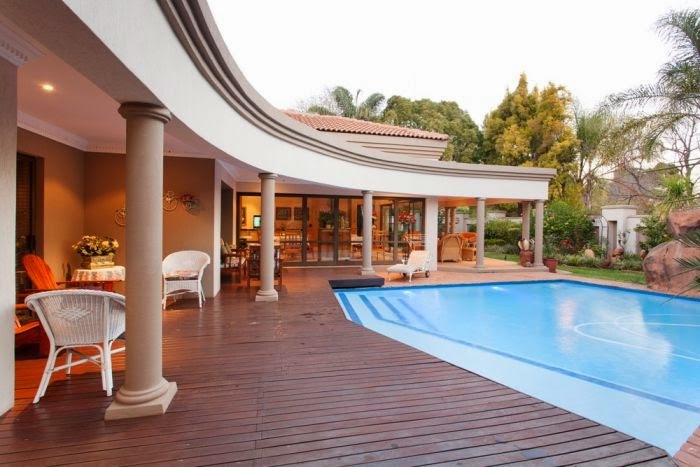 Main house with 3 en-suite big bedrooms and lots of entertainment rooms walking out onto pool area. Second house consist of 3 big en-suite bedrooms as well as FULL 2 BEDROOM FLAT! beautiful gardens...lots of parking and GREAT security in security estate. Own guard house. Very quiet and tranquil.Popular for The Willow hospital guests...close to N4.Good Income.House can also be used as office space! DIY: Coffee beans & tea lights.